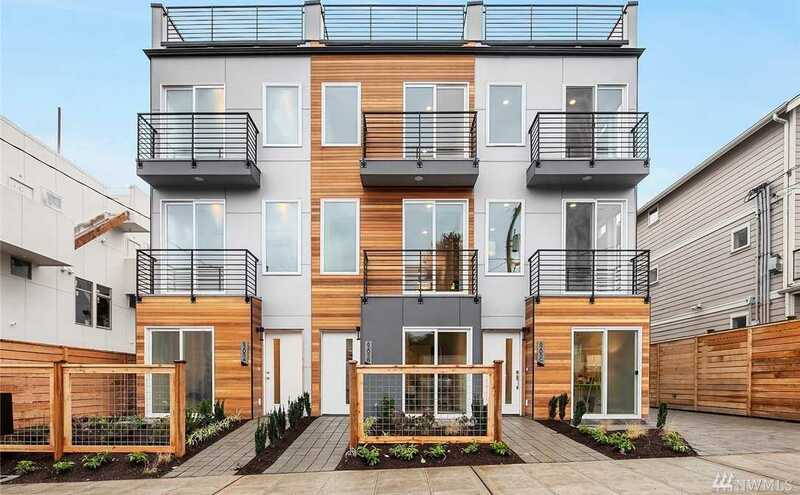 Outstanding new construction conveniently located in Ballard near shops, cafes & restaurants. Featuring premium finishes from top to bottom,open floor plan w/lots of natural light,attractive hardwoods, ductless mini-splits for efficient cooling&heating,gourmet kitchen w/gleaming quartz countertops & stainless steel appliances.Enjoy a top floor master suite w/walk-in closet & serene 5-piece spa like bath. Roof top deck w/water and elect.Off street parking included. Last home available! Directions: Head West on N 85th St, South on 3rd Ave NW, West on NW 65th Street, and South on 7th Ave NW.